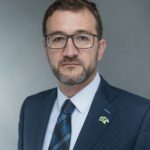 Jorge is a former research fellow specializing in energy and economics, with research interests in energy and macroeconomics, energy policies and transitions. A market in which individuals pursue their own self-interest normally maximizes aggregate economic well-being. But households that install Distributed Energy Resources (DERs) in order to obtain savings in their electricity bill, impose an external cost on other customers. At scale, their actions can lead to higher electricity tariffs for utility customers and, in the extreme case, a utility death spiral. In this paper, we propose a market mechanism that may ameliorate this potential distortion based on the creation of a market for risk. Utilities would provide reliability insurance services to households to protect them against the failure of their own DER systems. Creating such an insurance market would allow customers to choose a premium according to their preference for reliability. 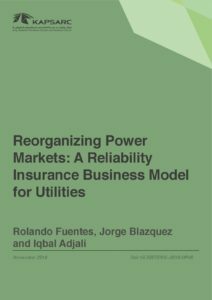 It could also limit the potential utility death spiral efficiently, as the path would be driven by market mechanisms that arise after reassigning property rights and liabilities between utilities and their customers. What is the value of saving a barrel of oil that would otherwise had been consumed domestically? This study explores the question, taking a long-run perspective into a general equilibrium approach. In the case of Saudi Arabia, the difference between the domestic price of oil and the international price represents an opportunity to improve economic efficiency across different activities and sectors. 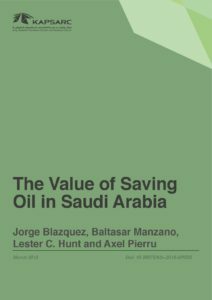 In this context, we study different policies aimed to reduce the domestic consumption of oil. 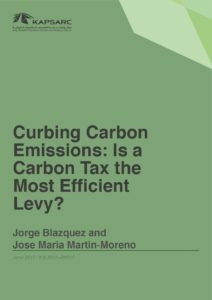 Curbing Carbon Emissions: Is a Carbon Tax the Most Efficient Levy? The ambitious environmental objectives of the Paris Agreement imply that, in order to curb carbon emissions, all cost-effective policy options should be considered. These options include carbon taxes, probably the most popular fiscal tool for curbing emissions, and various other taxes on fossil fuels. This study uses Spanish data to assess what are the optimal taxes on oil, natural gas and coal from a welfare perspective, and compares them with a carbon tax in a general equilibrium context. Understanding how the composition of a country’s energy mix is formed in an environment where greater government involvement is anticipated due to climate change obligations is critical. 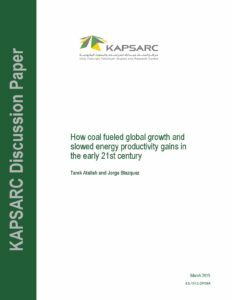 This paper is part of a project analyzing drivers of the mix and the transition to a future energy mix where renewables will have a key role. 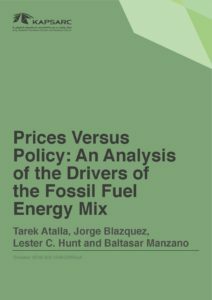 This initial study considers the fossil fuel mix in the U.S., Germany and the U.K. by undertaking a macroeconomic analysis of the importance of prices relative to policy in shaping the mix for these economies over the last 35 years. One major avenue for policymakers to meet climate targets is by decarbonizing the power sector, one component of which is raising the share of renewable energy sources (renewables) in electricity generation. 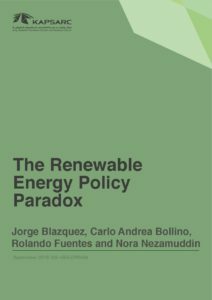 However, promoting renewables in liberalized power markets creates a paradox. Policymakers have a variety of financial tools to foster the deployment of renewables. 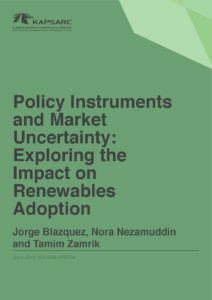 Our study explores how these policy instruments impact a private investor’s behavior, and the resulting differences in the adoption of renewable technology as well as costs to taxpayers and ratepayers. Part of the policy strategy to avert the worst outcomes of global climate change is a transition to low carbon energy on an unprecedented scale. In particular, strong incentives are in place to promote the competitiveness of renewable energy technologies, stimulate their rapid uptake and displace fossil fuel power generation. 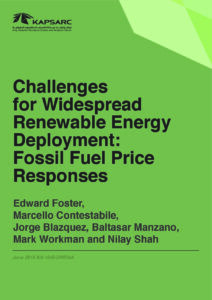 In this paper we argue that the penetration of renewable energy into the power market can directly result in a price response of fossil fuels which in turn affects the relative competitiveness of renewable power generation, thereby reducing the rate of the renewable energy transition or increasing the cost of the policy support measures required to achieve it. The price response we hypothesise is distinct from the Green Paradox and Carbon Leakage theories, which in different ways address the effect of climate change policy on the extraction and use of fossil fuels. In order to assess the possible existence and scale of the problem, we identify a price response mechanism backed by standard economic theory, based on the specific characteristics of the fossil fuel markets considered, e.g., coal and natural gas. 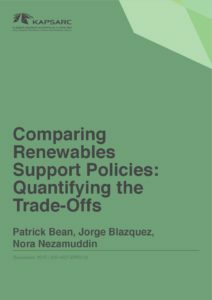 Policies to support wind energy development are most effective when they deliver power at the lowest cost per unit of added capacity and per unit of delivered electricity. Our analysis uses real Spanish onshore wind project data to identify which approaches deliver the lowest cost to society. It is common for decision makers and media to conflate the oil price with the price of energy. High crude oil prices are taken as signals of energy scarcity. By contrast, and perhaps misleadingly, low crude oil prices are perceived as evidence of energy abundance. For the past two to three decades, and particularly in the wake of the Great Recession, clean energy transitions have been sold as a three-for-the-price-ofone policy: creating “green collar” jobs to get the unemployed back to work, using domestic resources to reduce dependence on imported fossil fuels, and all while reducing carbon emissions. 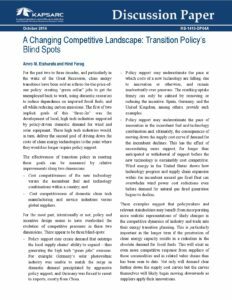 The first of two implicit goals of this “three-fer” was the development of local, high tech industries supported by policy-driven domestic demand for wind and solar equipment. These high tech industries would, in turn, deliver the second goal of driving down the costs of clean energy technologies to the point where they would no longer require policy support.